The Altra Timp is not advertised as a hiking shoe but as a convert to trail runners for my hikes I was eager to try this shoe out. 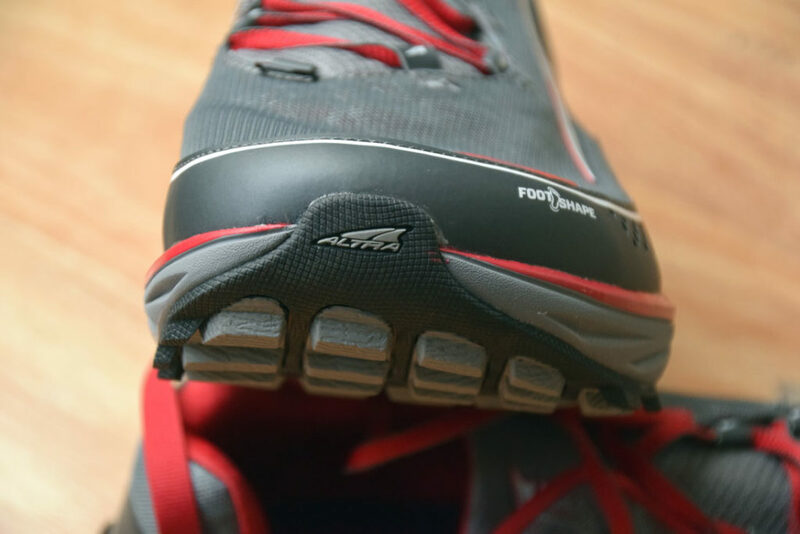 This was the second model of this brand that I had tried and I was interested to see if they were going to be any better that my much loved Altra Lone Peak 3.0. 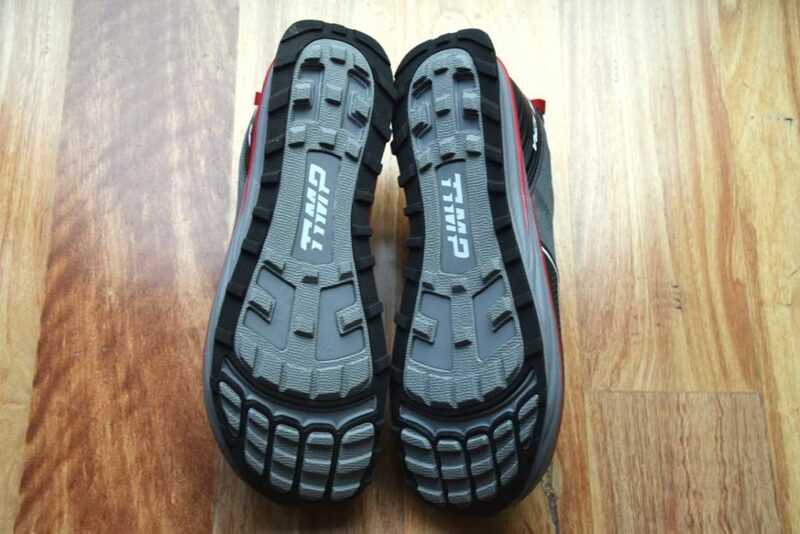 The main difference that I could tell from the specifications from Altra was that instead of having a 25mm stack height (the slab of rubber on the bottom of the foot) the Timp’s had a stack height of 29mm. This additional 4mm is not a lot but when you pound the ground like I do I appreciate lots of padding. 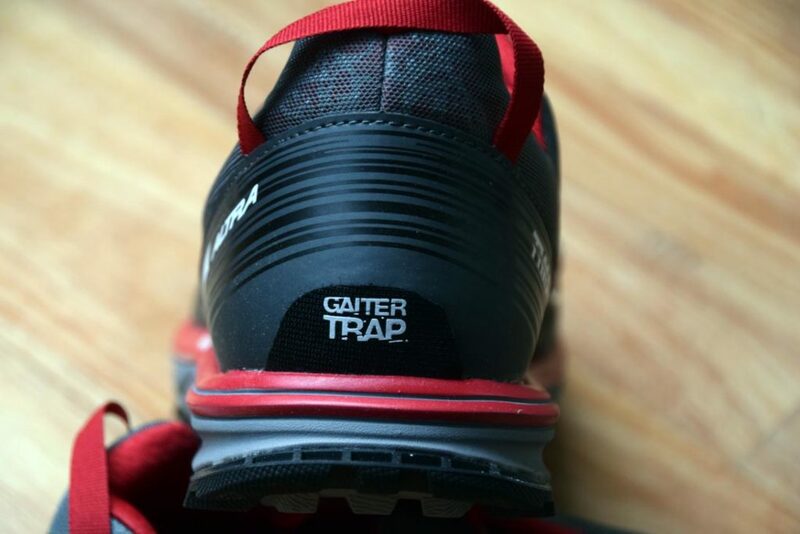 The other thing that you will notice with this shoe is that the lacing is offset rather than running down the centre of the shoes like just about every other shoe in the world does. I’m sure that there is a reason for this but Altra doesn’t make a big deal out it on their website and from my own personal experience I found that it felt a bit odd at first until I got used to it. Now I must own up hear and say that I’m a fan of the ‘Zero drop’ (there is no difference between the hight of the footbed between the heel and the toes) shoes from Altra and if you haven’t worn this type of shoe before you will notice his feature as soon as you start walking in them. They may you feel like you are leaning back and it took me a couple of days to get used to them but I am now a convert even thought I wear other shoes at the moment (more on this late). Many people don’t like this zero drop feature and if you have an issue with Planter faciitis then I wouldn’t recommend them. The shoe feel light to wear, they breathe well and dry out quickly when they get wet and they can be worn straight out of the box without having to add any inserts. One thing I discovered by accident with these shoes is that they also have a reflective patterning on them and if you wear these at night time they really do stand out when a torch beam shines on them (so no good for playing hide and seek at nighttime). Now for the negatives. Usually before I do a final review on a model of shoe I wear them for a number of months and over many kilometres. 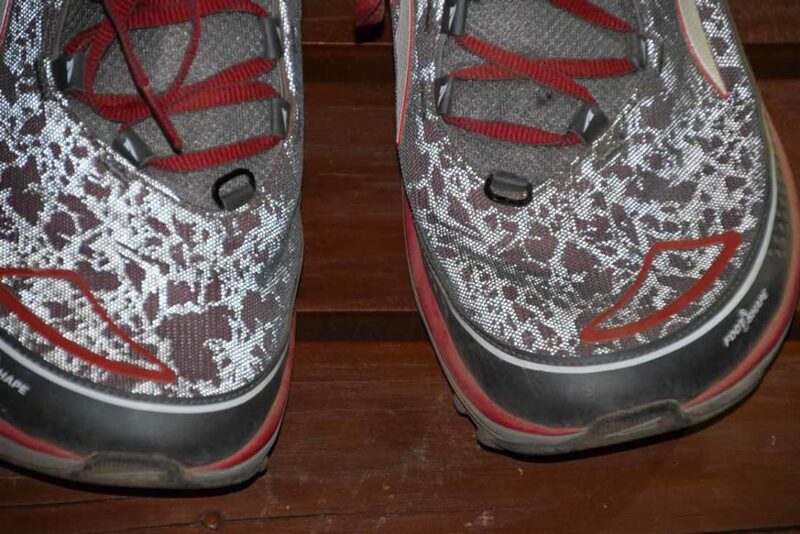 While I did test this shoe out for around 200km, including one walk of 29km, I just couldn’t wear them for any extended period because of the fit. The issue I have is based around the shape of the shoe which for me isn’t compatible. The front end of these shoes had what’s described as a ‘foot shape’ which allows the toes plenty of room to breath and swell. 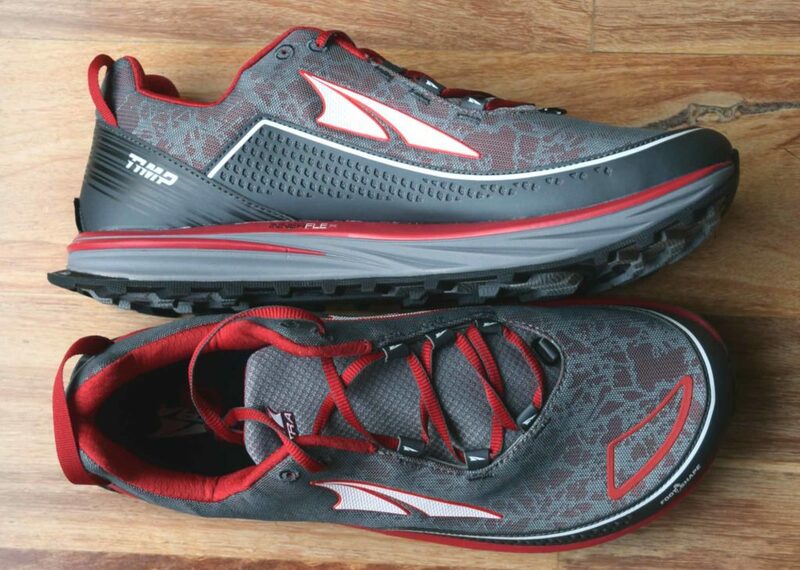 The Altra Timp while having the wide toe box which is common to all Altra shoes also is a uniformly wide shape om front to back and this is my issue. My foot shape is almost ‘flipper like’ being very wide at the front and narrow at the back and this meant that I had too much space at the rear of the shoe that even a snug lacing system wasn’t going to fix. I have exactly the same issue with the Keen Targee’s and find that this wide heel width creates a hot spot on the side of my heel which if I ignore generates a fairly large blister. So based on this fit issue this is a shoe that is unfortunately not for me. Now while this shoe is not for me if you have a uniformly wide foot and like the zero drop concept then this is definitely an option worth looking at. Please note that these shoes run slightly small. i usually wear a size 14 in most of my hiking shoes but I am now finding that the newer Altra models are now forcing me into size 15’s. So if buying online choose a store that offers good a good return policy and make sure that you try them out inside before taking them outside.